I’ve been lucky enough to be involved in a phenomenal program for about 5 months now, called the Friday Fellowship. If you haven’t heard about it, it’s called the William C. Friday Fellowship for Human Relations, named for our great leader and head of the UNC system for 30 years . For me, it means learning the skills needed for us to move this state forward; being able to have the difficult conversations while valuing everyone’s skills, experience, and viewpoint. Being able to listen with heart and head, and moving forward together. There are 19 of us in the program today, from across the state, across all types of backgrounds and experiences. I am blessed to be among this great set of amazing leaders as part of this 2 year program, and after every meeting I reflect on how this experience is making a difference for me. This year marks the 20th anniversary of the program, if you would like to learn more, check out this great interview by the Executive Director Minda Brooks. Jump to 17:20 of this video. As part of our long weekend of training, we had an opportunity to visit the Greensboro International Civil Rights Center & Museum. If you haven’t been there, it’s absolutely worth the trip. Since I was at Dreamfest here in Cary, seeing the A.D. King documentary, and listening to Naomi King, MLK Jr. sister-in-law, it is an amazing continuation of my journey to learn more about the Civil Rights movement. 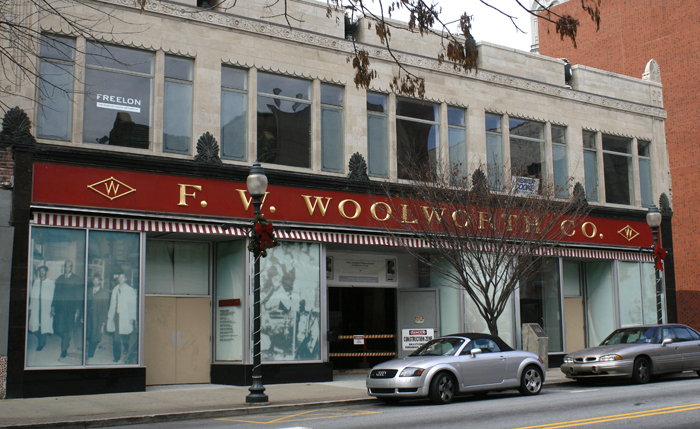 I had heard of the Greensboro Four before, had even seen what I was told was the Woolworth counter they sat at, at the Smithsonian. 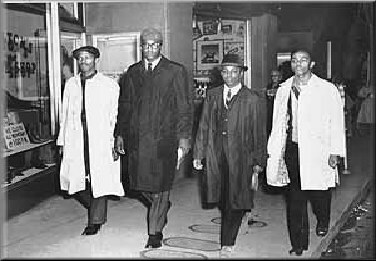 But I had no idea of the phenomenal cascade of activity that those four 17 year-old freshmen had created, and the social transformation that it had on the rest of the Civil Rights movement. 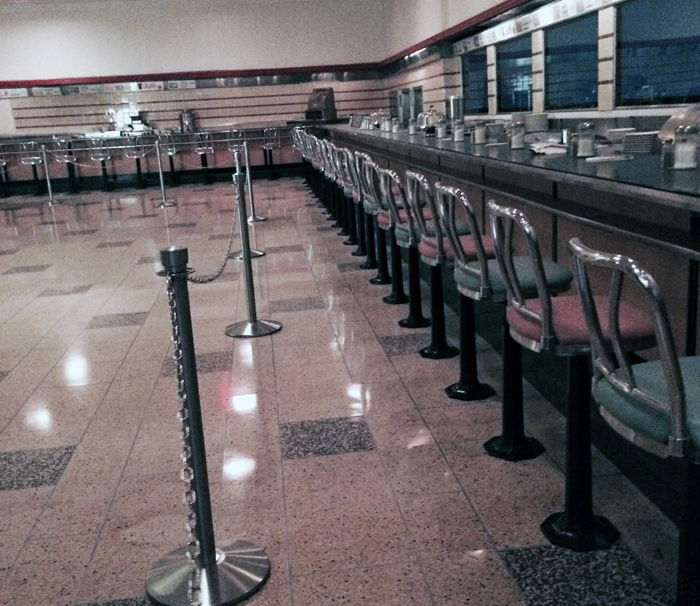 The museum opened it’s doors in 2010, and is located in the original Woolworths store where the sit ins at the luncheonette counter began in 1960. Now, more than 50 years later, this museum stands as not only a reminder of that event, but a testament to the continued work needed to continue. The sign still says “F. W. Woolworth Co.” across the building in gold letters and inside the two story building (with a lower level) they still have many of the same vestiges from that time – from the original counter, commercial appliances against a mirrored wall, and the colorful vinyl chairs that line the counter. The counter, in an L-shape, is long, huge. A reminder of the 60’s in its look and feel. Although small in size, the museum is powerful in impact. It contains a series of vignettes of the times of the day, including the harsh realities and horrible past – from systemic racism, violence, segregation and the attempts and pain of desegregation, to the manner in which people of color have been treated throughout our collective history. It has poignant moments – a re-enactment of the dorm room conversation plan by the four brave souls from North Carolina Agricultural and Technical State University (NC A&T)– Joseph McNeil, Franklin McCain, Ezell Blair, Jr. and David Richmond to a visit to the ACTUAL counter where the sit ins occurred. Over the course of the guided tour, we learn of the long process of the sit ins over many months. The way local colleges stepped up to help, and how even the local high school kids continued the protest after the college students left to return home. The sit ins weren’t the first, but they were most likely the catalyst for action across the state and a crucial turning point in our history. 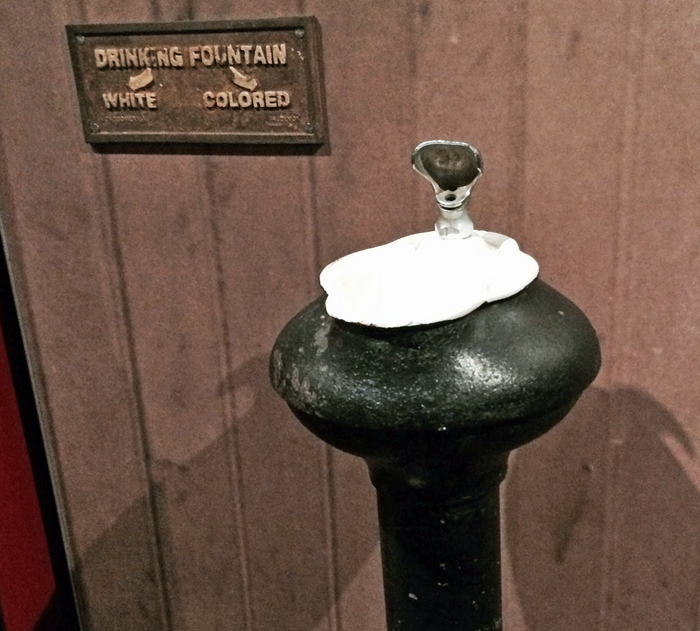 The tour has a lot to offer – from videos, to pictures, to reenactments, to memorabilia. There are many artifacts from the time, and some interactive components as well. 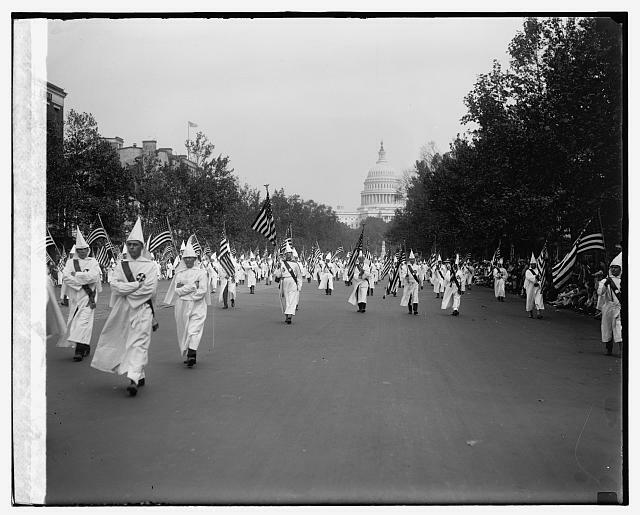 Pictures were not allowed, but there were images I had never seen, that I found online at the Library of Congress … this one, displayed, below. The tour was a bit too quick for me, I wanted to linger, read more and spend time absorbing it all. Once through the museum I was filled with emotions; ashamed of the way our past generations treated our fellow human beings and how this continues today. I also felt a great deal of sadness, anger and heartsickness, a reminder of the fury within still amazed that this could and did happen. There is so much to learn, to absorb and take in. (Note: There are some violent images in the “Hall of Shame” – so if you chose to bring kids, there are areas that you might want to rush through, depending on their ages. 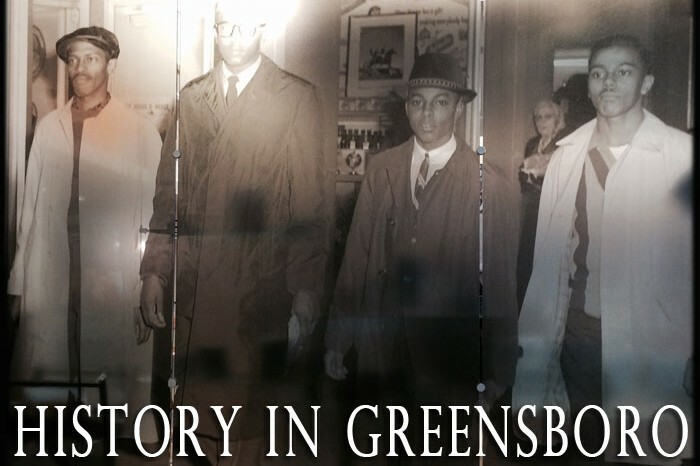 But the tour isn’t just about the Greensboro Four, it’s about understanding the past, so that we can address it for our future. There are classrooms upstairs, more tools for the museum to continue their work. And at the end of the tour a reminder that there is work to do and a connection to the international movements . We are not where we need to be when it comes to Racial Equity. We just aren’t. And places such as this need to exist to help get us where we need to be. And there need to be people like you, me, my fellow Friday Fellows, and our children, to stay involved, committed and intentional, to make change happen. Town of Cary Planning Retreat 2015	What’s the Internet of Things and Why Should I Care? Thanks so much! I will. Thank you for this post, Lori, and thank you for attending Triangle Open Data Day today.